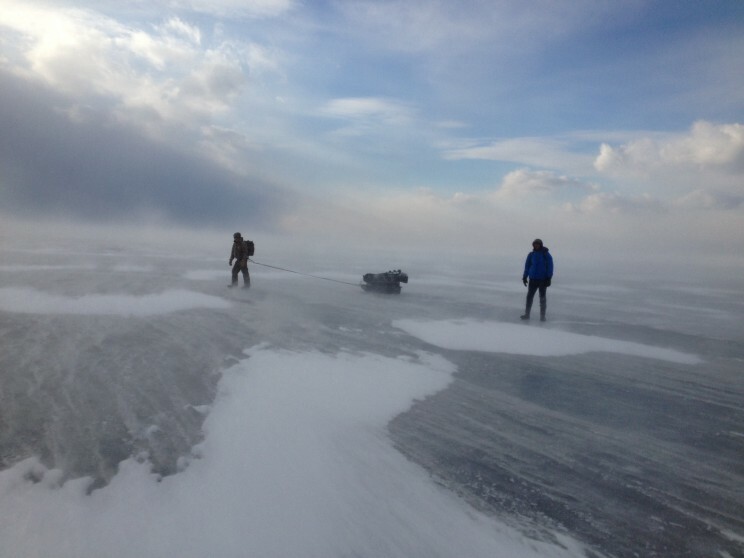 Guiding Ice Anglers to Shore As Storm Approaches. UGS Inc. welcomes beginners and advanced outdoor enthusiasts from any background or skill level. Personalized hands-on instruction on fly fishing, light tackle lake fishing, ice fishing and waterfowling is our expertise. UGS Inc. is an outdoor guide service committed to quality and professionalism that shows an obvious respect for the unique environments of Upstate New York. A combination of experience, education, proper planning, quality equipment and hard work is the recipe we use to create memorable and successful outdoor experiences for our guests. Upstate Guide Service Inc. is a full-time licensed and insured professional outdoor guide service. Current state and federal licenses required to captain a public vessel and operate a licensed guide service in New York State are maintained as well as personal safety certifications. 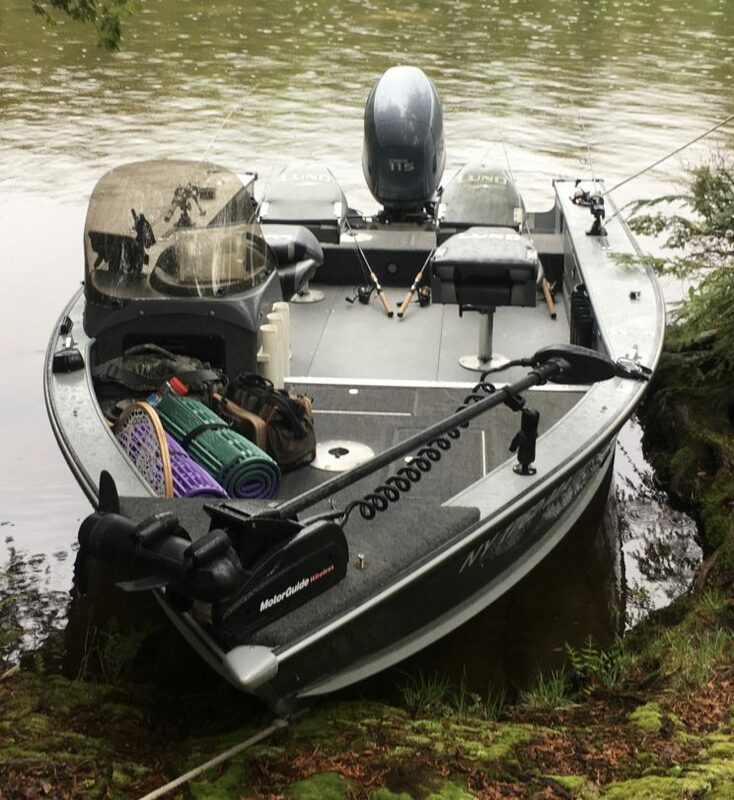 Fishing on the lakes is aboard a Lund Pro Fishing Boat inspected annually by the New York State Office of Parks & Recreation Marine Division. The Grey Ghost 2 is a Lund boat outfitted with the latest in modern electronics. It is a stealth, responsive, versatile and reliable modern fishing machine. Rates vary depending upon location and duration. Lake Fishing Trips for up to three anglers. Payment is to be made in full at conclusion of each days trip. Cancellation due to inclement weather is at guides discretion. Please call or email anytime for more detailed information.